Alan R. Shoho, a candidate for the position of dean of the College of Education and Health Professions at the University of Arkansas, will visit campus and give a public presentation from 3:30 to 4:30 p.m. Monday, Feb. 11, in the Reynolds Center Auditorium. His topic will be "What do you see as your future vision of the College of Education and Health Professions?" A reception will follow the presentation. 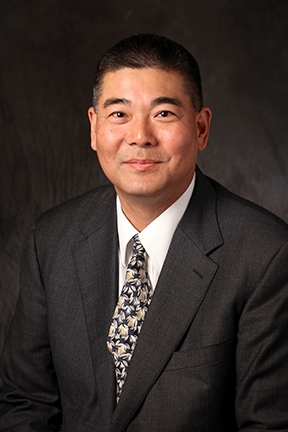 Shoho has served as the dean of the School of Education at the University of Wisconsin-Milwaukee since 2015 and is a professor with tenure. He is one of three finalists chosen by the search committee chaired by Donald Judges, vice provost for distance education. Information about the candidates is available on the dean search website. All College of Education and Health Professions faculty, staff and students are encouraged to attend. Interested alumni, friends and community members are also welcome. Attendees can provide feedback to the search committee through a form on the committee website. Shoho served as the associate vice provost for academic and faculty support at the University of Texas at San Antonio from 2013 to 2015 and was a professor with tenure there from 2007 to 2015. From 2012 to 2013, he was an American Council on Education Fellow at the University of North Carolina at Charlotte. From 1998 to 2009, he worked at the University of Texas at San Antonio as the graduate advisor of record, a program coordinator/department chair, and the associate director of the Metropolitan Research and Policy Institute. Shoho served as a tenure-track assistant professor in the School of Education at the University of Portland from 1991 to 1994. Prior to that, he worked for the Hawaii Department of Education, Rockwell International and Hughes Aircraft Company. He earned his doctorate in secondary education from Arizona State University in 1990, his master's degree in Curriculum and Instruction from the University of Hawaii in 1985, and his bachelor's degree in electrical engineering from California State University at Fullerton in 1981. The selected candidate for dean will fill the Henry G. Hotz Endowed Dean's Chair, which was funded by a $1.5 million gift from Palmer and Marie Hotz of Foster City, California, and a $2 million gift from the Walton Family Foundation. The chair was named in honor of Palmer and Hartman Hotz's father, Henry G. Hotz, who served as the college's fourth dean. The chair provides resources to further the dean's contribution to teaching, research and public service. The dean search committee members include Lisa Bowers, Freddie Bowles, Michelle Gray, Meredith Green, Kelly Vowell Johnson, Jack Kern, Wen-Juo Lo, Ketevan Mamiseishvili, Brandi Maples, Bob Maranto, Sherry Muir, Cheryl Murphy and Katy Nelson. About the College of Education and Health Professions: The College of Education and Health Professions offers advanced academic degrees as well as professional development opportunities and learning communities in service to the education and health systems of Arkansas and beyond.